Yesterday was my birthday! So when I placed my most recent order at Sephora I added my 2015 Sephora Birthday Gift to my cart. 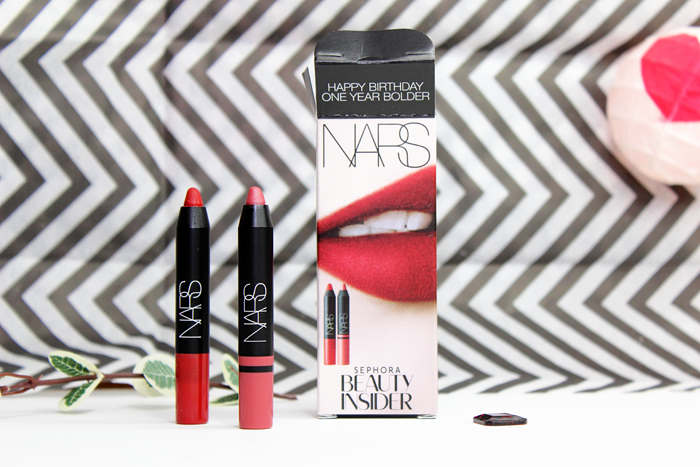 I look forward to my Sephora birthday gifts every year. This year is my favorite so far. 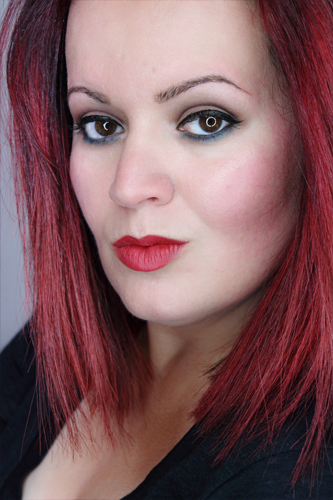 It’s a pair of mini NARS Lip Pencils in Cruella and Rikugien. Cruella is described as a scarlet red and Rikugien is described as a rose pink. 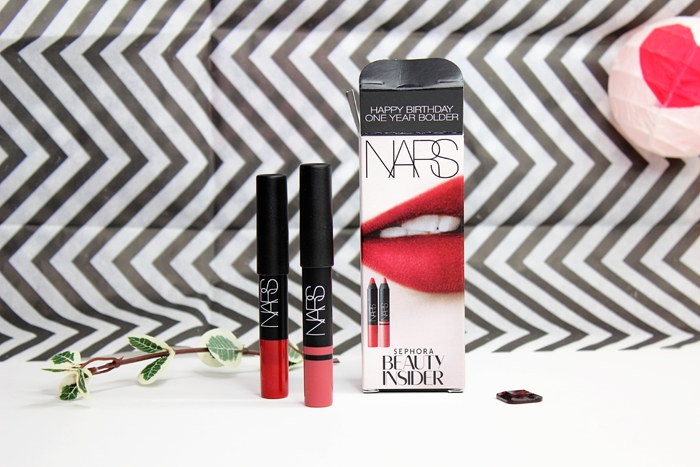 I don’t already own these 2 shades so I was very happy to add them to my collection. They’re both very pretty and wearable shades. It almost made me forget that I had turned another year older. Almost. 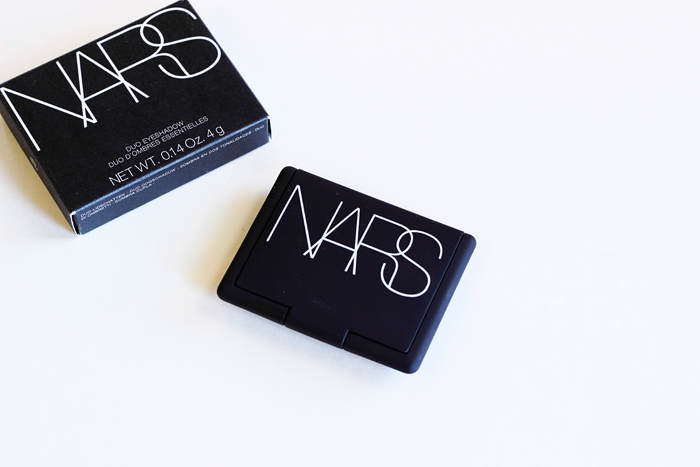 I have quite a few NARS goodies in my collection now, but not many NARS eyeshadows. Quite a few duos have caught my eye in the past, but I always felt I had similar shades already and couldn’t justify the purchase. Kauai on the other hand has my name written all over it! Gold and purple? Yes please! 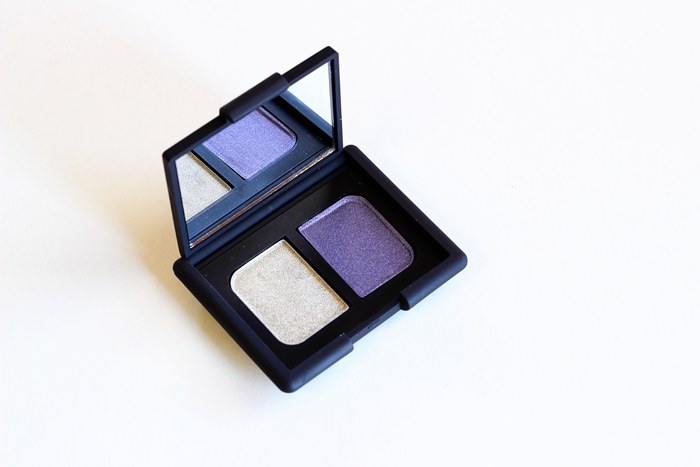 This little eyeshadow duo is so pretty I can barely keep my eyes off it. The eyeshadows are incredibly soft. They feel like silk almost. They have a nice creamy texture and are very pigmented. 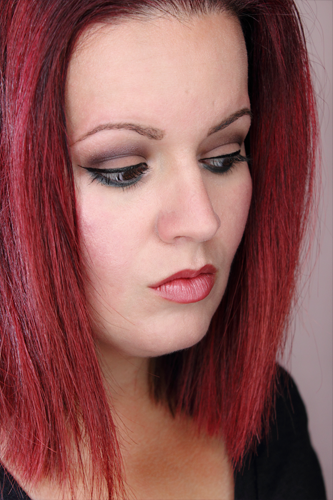 I didn’t have to build up all that much and my look lasted the entire day with very little to no creasing or fading. I absolutely LOVE this duo! 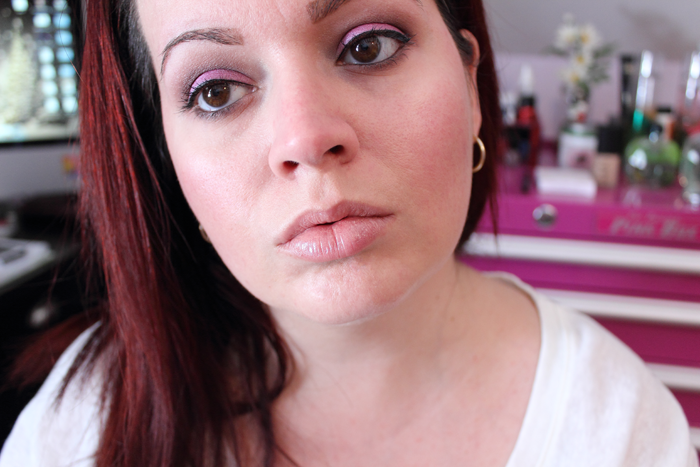 Here’s a look I created with the NARS Duo Eyeshadow in Kauai. I applied the gold shade on my lid and the purple shade on my lower lash line. I finally got my new camera! It was a gift from my husband for Valentine’s Day! When I first took Jack 2.0 (How original, eh?) out to play, I realized that my NARS Pure Radiant Tinted Moisturizer just wouldn’t do the trick anymore. I may have gotten away with such little coverage with my point and shoot, but Jack 2.0 picks up on every little imperfection! Hello, pores/fine lines/wrinkles/acne scars! Yikes! But hey, I did want better quality. And now I have it. 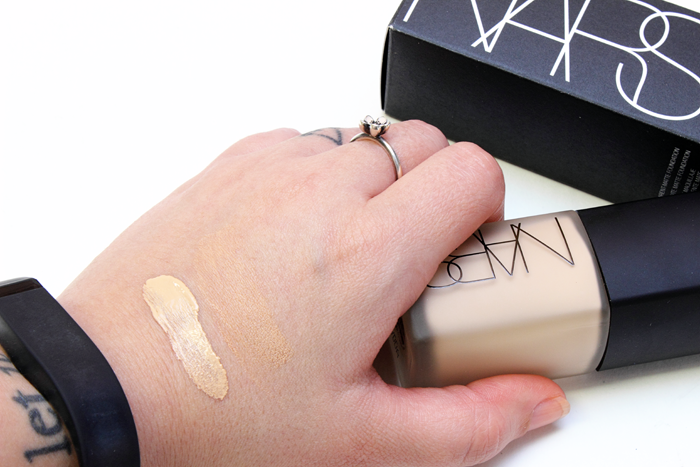 After hearing so many good things about the NARS Sheer Matte/Sheer Glow Foundations, I decided to give one of them a try. I went to Sephora and had them do that fancy Color IQ thingy to get an ‘exact’ match. Looking at the swatch above I wouldn’t really say that’s an exact match, but that’s what they suggested. 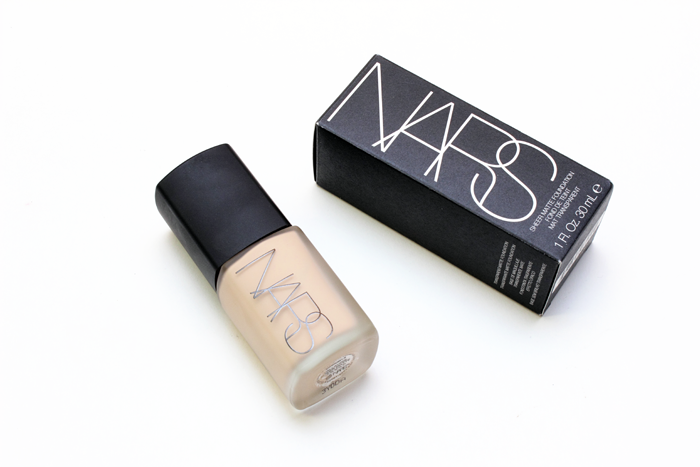 I decided to go with the NARS Sheer Matte Foundation since my skin is usually quite oily. I took this bad boy home and tried it immediately. I wanted to love it so bad, but it’s just… well, it’s not good! For me anyway. I’ve read lots of mixed reviews. So many people seem to have problems blending this foundation into their skin. I used my BeautyBlender and it blended in effortlessly! But that’s where the perfection ended. Within an HOUR I was already shiny. And um… it’s Winter! 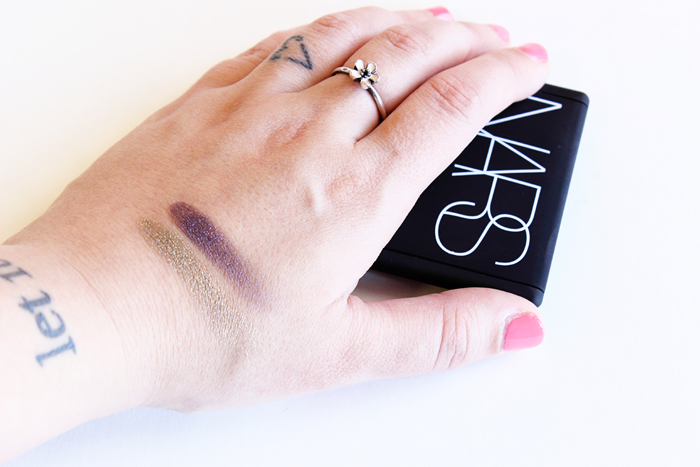 For something claiming to be a matte I would assume I wouldn’t start shining away within the first hour. I’m not expecting miracles here, but an hour is a bit of a let down. It also felt VERY heavy on my face. It felt like I had a plastic film over my face and even looked like it at some point. After a few hours I washed it off since it was patchy and fading. In the end I was left with a few pimples on my cheek and near my lips. I’m not one to send makeup back. In fact I can count on one hand how many times I’ve actually returned makeup. This foundation went right back to Sephora! Sorry, but I just could not make this work for me. The photo above was taken immediately after application. I know the quality still isn’t that great. I’m still getting the hang of my new camera. I took over a hundred photos that day hence the bored look on my face. I’m getting there! 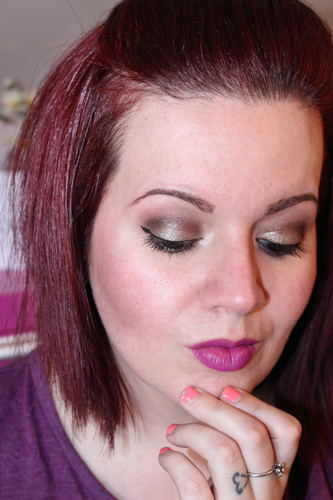 Also, remember when I said I’d share a few looks of me wearing stuff from the MAC A Fantasy Of Flowers Collection? 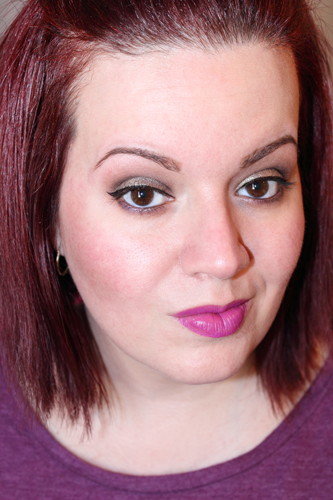 Well, I’m wearing Stereo Rose on my cheeks and Fleur d’Coral on my lips. I told y’all I meant it this time!